Infrared surveillance cameras monitoring badger visits to cattle farms will be used to determine the risk of badgers entering buildings. Infrared surveillance cameras monitoring badger visits to cattle farms will be used in a new study to determine the risk faced by individual farms of badgers entering buildings. Surveillance cameras will be installed at 75 volunteer farms across South West England for the project run by the Animal Health and Veterinary Laboratories Agency (AHVLA). Over a four week period, cameras will count the number of badger visits to farms, and determine what factors encourage badgers to regularly visit farm buildings. Recent research has shown that badger visits to farm buildings are widespread and common, but that some farms are more prone to badger visits than others. The purpose of our current project is to try to understand the reasons behind this, and develop a simple method to assess the risk of badger visits to any given farm. Ultimately, this is about helping farmers determine what the best bio-security measures are for their individual farms. A survey for badger activity will be carried out near the farm buildings and details of farming practices e.g. cattle feeds, local crops, and landscape features will also be recorded. 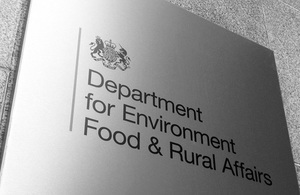 The research is the second phase of the Farm Assessment Tool project initially launched by Food and Environment Agency (Fera) last year. Previous Defra funded research confirmed badger visits to farm buildings are common and widespread on cattle farms in South West England, but also that this could be prevented by the adoption of exclusion measures. These measures include protecting buildings and farm areas susceptible to wildlife visits such as feed stores, by installing secure gates or electric fencing, and securing feed bags and bins.